It’s Your Wedding – Every Detail Matters. Our design team creates an environment specific to your needs and unique to your vision while our premium production services ensure no detail is overlooked, so you don't need to worry. It’s the peace of mind you have been looking for! 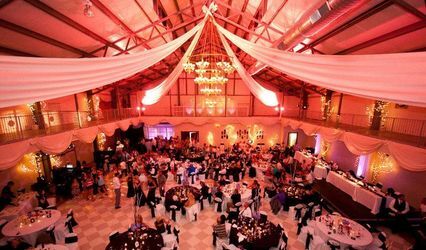 Don’t compromise your wedding with a one stop shop! Trust your vision with a true specialist. 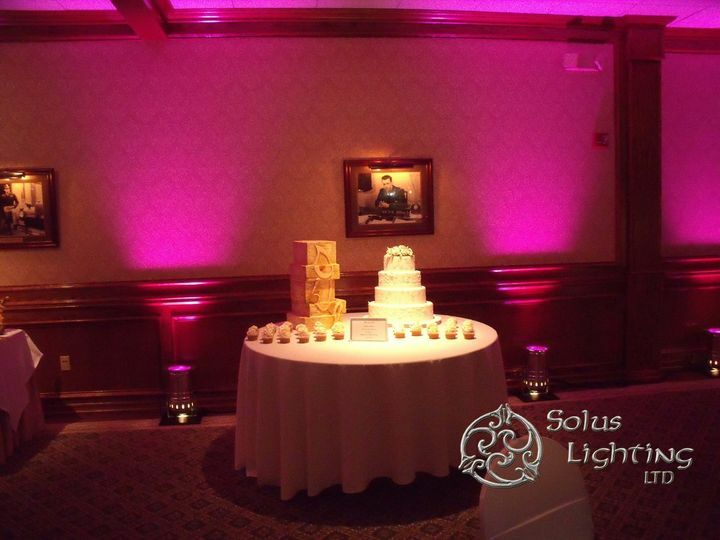 Solus Lighting has received local, regional, and national awards and has been recognized internationally for their cutting-edge wedding lighting designs. Schedule an appointment with one of our award-winning designers to discuss how we can make your wedding day perfect! 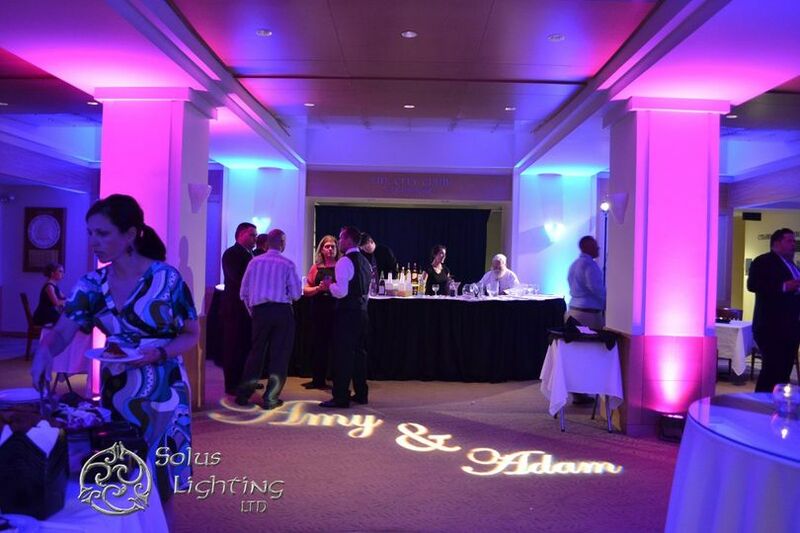 Solus Lighting is the exclusive lighting vendor for the Cleveland Museum of Natural History, so we had to go with them for the lighting for our reception there. They did an excellent job! Our colors were royal blue and silver, and Maureen recommended that we do off-white for some of the pattern wash lighting instead of white for a less harsh look, and that was a great suggestion. 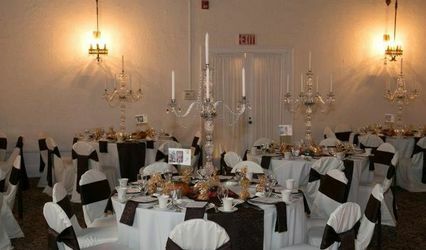 I also really appreciated her suggestion of a fern pattern wash to go with the "Jurassic" theme of Kirtland Hall, because that ended up giving me inspiration for the centerpieces. 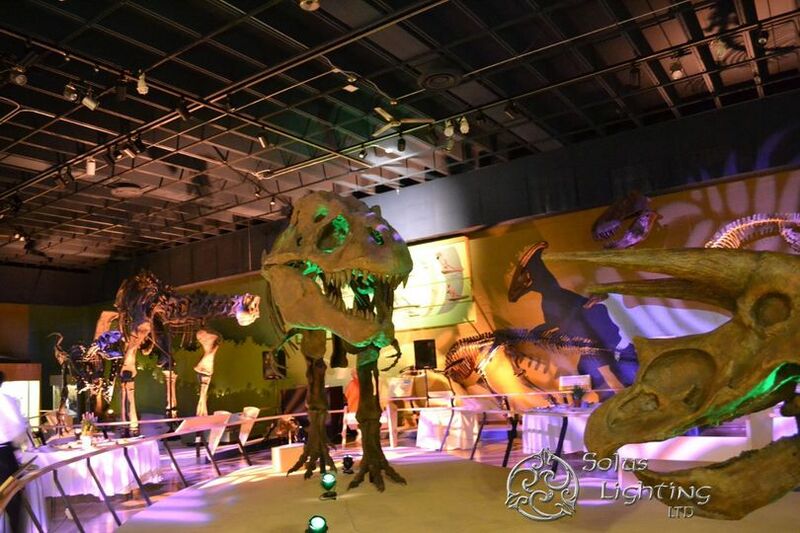 The uplighting on the dinosaurs looked fantastic, and really contributed to a memorable event and great photos! 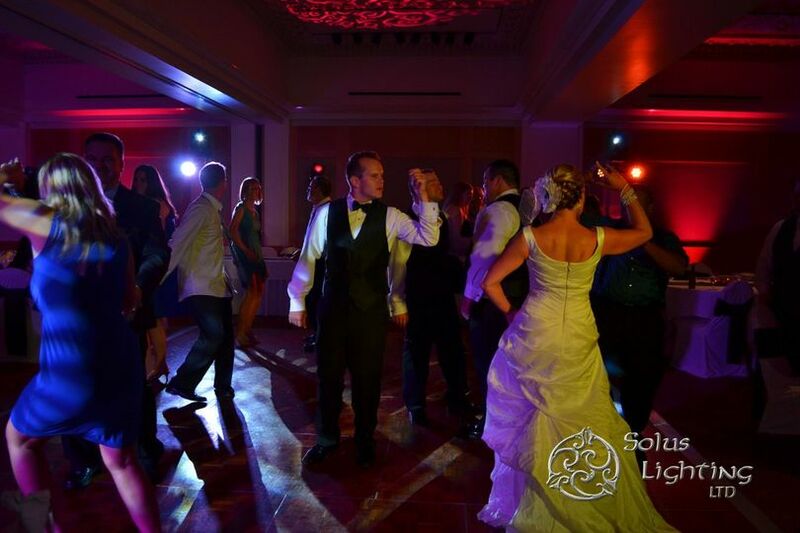 We had our reception at the Cleveland Natural History Museum in the dinosaur hall, Solus uplit the dinosaurs / exhibits and did washes on the floor. They gave us a wide range of color options and patterns and were very responsive. 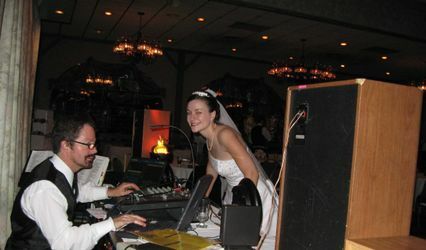 Their equipment is minimal and we didn't even notice them doing any kind of set-up or take-down. 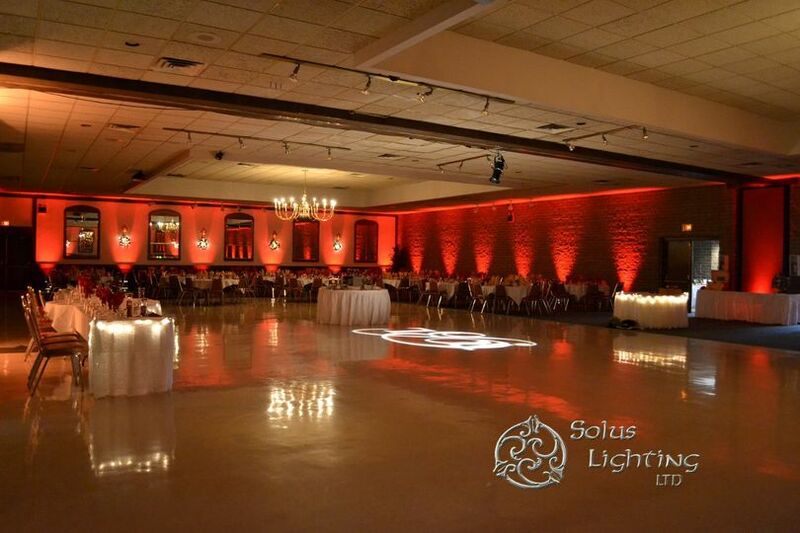 Solus did a fantastic job!